The 3rd annual Sasquatch Board Game Festival took place 10/31-11/4. There were several changes this year – attendance grew by 50% (we had about 80 people) so we moved up from mansions to a hotel venue for the first time, and I was running the last leg of the Essen mule train, driving up from Portland with 100+ new Essen games and Kris’ birthday cake in pouring rain. To my surprise, the hotel staff actually understood my detailed room layout drawings and already had the rooms set up. Thanks to the volunteers, we managed to set up the game library within a short time and started playing games. Bumm Bumm Balloon! was the first to hit the table, and Tzol’kin: The Mayan Calendar was set up on a table where it stayed for the rest of the weekend. Other games played on Tuesday included Briefcase, Among the Stars and Saint Malo. One of the nice things about having a smaller event and talented volunteers is that we can provide a lot of personal touches and special events. For the third year, Nate Beeler designed the posters and name badges for the convention. This year’s theme is game boxes. We were treated to 5 beautiful posters and had a lot of fun trying to figure out from which game the letter was taken for our name badges (Nate used games that are favorites of each person to add the personal touch). 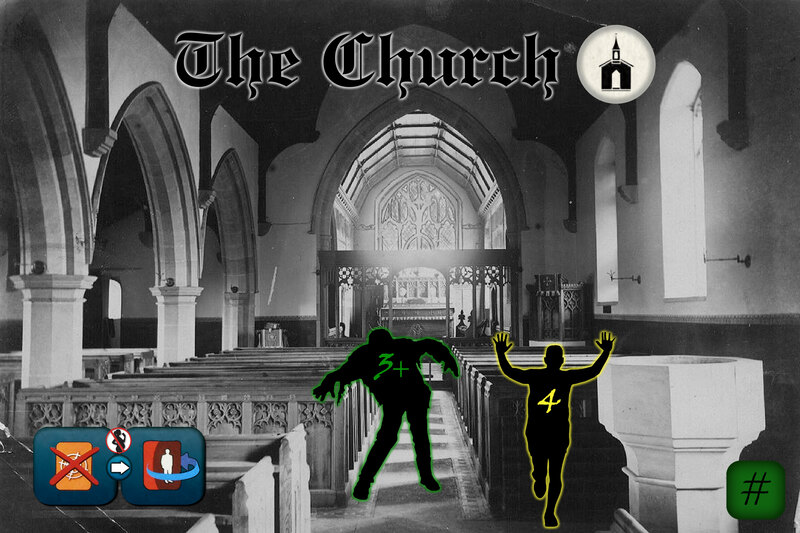 As the first day of the convention coincided with Halloween, we ran a live-action City of Horror game, where participants can either choose to be one of the characters from the game, or let us know their costume and we came up with special character cards for them. Nate designed the posters for each of the locations, and I found some zombie duckies that were used as zombies. The negotiation part of the game took longer than expected and there were some hiccups from me being a novice in running a live-action event. Overall, I think it was still a fun event, but we’ll try not to leave it to the last minute to pull together next time. Even though this is the 3rd year, I am still trying to figure out the right balance between open gaming and special events. We did not do math trade or flea market this year, but continued on with the popular events of movie night (this year’s edition was Sasquatch TV – a collection of short films about boardgaming produced by the talented Mr. Beeler), live-action interactive fiction (Zombie Town hosted by Chris Lemon), and the ever-popular Game Show hosted by Peter Sarrett. There were a couple of new events – Jesse McGatha ran a boardgame-themed puzzle hunt, and Dan Reger organized a game of Artemis. It has become a Sasquatch tradition to celebrate Kris Gould’s birthday during the event. 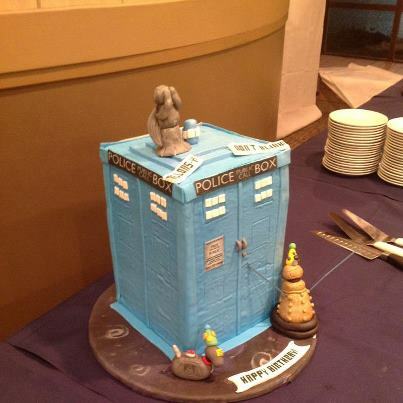 This year’s celebration featured a Tardis cake as Kris is a huge Doctor Who fan. Some of my fears of moving from a more cozy venue to a hotel is that we may lose some of the social interaction aspects of an intimate event, and that the no-outside-food policy may be a problem for some attendees. It turned out that with a steady stream of food catered by the hotel, most people never had to leave the venue for food, and for the most part, people did not seem to have problems playing games with someone they don’t know. So the migration to hotel venue seems to be a success. Now, onto games….there were well over 400 game sessions logged by the attendees, and at least ½ of the Essen haul had seen one play. Both copies of Tzol’kin and Die Palaste von Cararra were in play constantly, and Riff Raff was probably the most-played game at the convention. Although I’ve only played it once, this is probably the new game that I am most looking forward to trying again. At its heart the game is a typical engine-building/territory expansion game, but there are a lot to do and not a great deal of negative player interactions. This one should get a lot of play at my groups. This new game from Ystari requires strategic planning to be successful, and it may take a few turns before a player realizes all the difficult decisions they have to make. I like worker placement and strategic games so this is easily one of my favorites. I can also see quite a bit of replayability with a number of strategies to try. There is a bit more player interaction (a player may take over another player’s exhausted pheromone tiles) than in a typical worker placement game. I played this game a number of times as a prototype, and was glad to finally play the published version. A tile-laying city-building game where each player has some ‘private’ goals while everyone is chasing after the ‘public’ goals at the end of the game, it plays reasonably fast and has a good balance of strategic and tactical decisions. I am glad that someone else read the rules and taught me the game. Although it’s a simple pickup-and-delivery game, the constant jockeying for position (turn order, tech-tree tiles, etc.) provides enough tension and requires players to plan carefully. It is a game that works best if all players see their best moves. I also thought the theme integration works well. This is another game that I played a number of times as a prototype, but the publisher made a few changes to the final product that makes it a better (more balanced) game. It’s also in the worker placement genre, but the workers perform actions when they are removed (as the calendar may be moved at a slightly faster pace, one is never sure exactly which action the worker will get to perform). We set up the game on Tuesday and it remained on the table throughout the con and saw a lot of play. 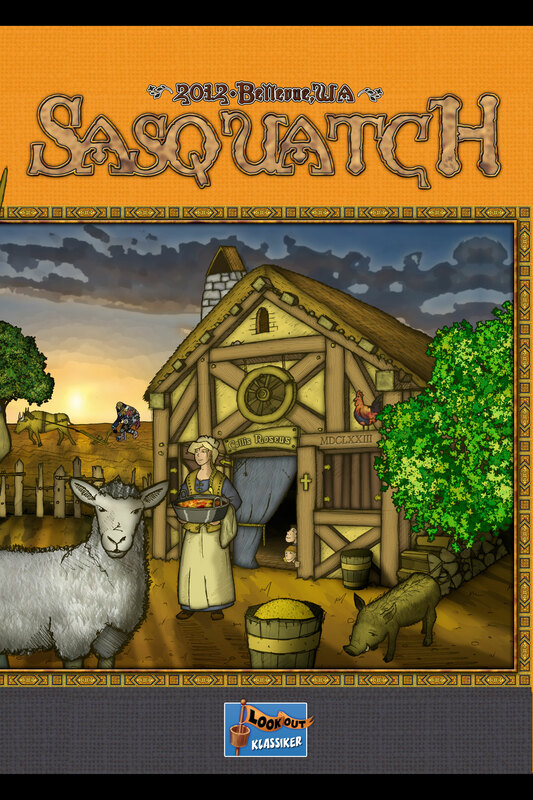 The newest game in the Key series has players bid to purchase tiles to expand their homestead. There are limited resources and workers and many more things one wishes to do than possible. There are 4 different colors of workers and once someone places workers to either use to bid on a tile, every subsequent user/bidder will need to follow suit, so there’s quite a bit of planning to figure out the best use of the resources. I like this game quite a bit. My only concern is that replayability may suffer after 5-6 plays. The new 2-F/Rio Grande release uses mechanisms from several top games such as Agricola, Dominion, Through the Ages and Puerto Rico and somehow makes all the pieces work together and maybe even better than in the games from which they come. The basic mechanism is still worker placement, but action cards may build a more efficient engine (more workers, cheaper purchases, etc.). This seems to be the year where there are a lot of city-building games. The new title from Pearl Games has a novel mechanism. I played the game twice but both times I was the third player in turn order in a 4-player game, which means I always draw the last card in the deck before new building cards are added. I think that is a disadvantage, but I really need to play a few more times (and not be the 3rd player in turn order) to know for sure. The basic game is a light Euro that is simple to learn and play – buy resources, build buildings, score buildings. I really like the elegance in that simplicity. 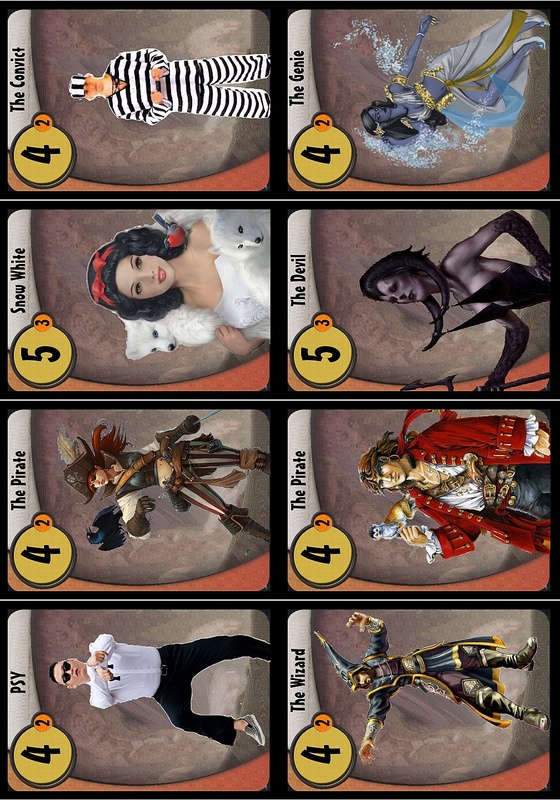 The advanced game has more decisions although there is some complaint that some of the cards can be too powerful in the advanced game. This market speculation game from Asyncron did not get a lot of buzz, but it turns out to be a nice and tense game with a great deal of player interaction. In our 4-player game, each player went in different paths (some specialized in cards and others in bridges) and we ended up being fairly close in the final score. There were times when I was either waiting for someone to finish a game so we can start a longer game, or waiting for someone to finish reading rules to a longer game. Instead of trying to jump into something long myself, I tried to play a few short fillers. I like the game play of this quick deduction card game, but I think it will work better in games with more than 2 players. In a 2-player game, one can get lucky with the Guard and the Baron and the game can be over in 2 minutes. A cute card game with the theme of Noah/Ark/animals that plays a little like 11 Nimmt! If it’s your turn to play cards and you can not play, then you must pick up all the cards at a particular ship and then play. The round continues until one player is out of cards and everyone else adds up points in hand. You want to have the fewest number of points at the end of the game. Another simple set collection game where players buy ingredient cards and wok cards (with specified ingredients) during the game and try to score the most at the end of the game. The interesting twist is that this is a closed economy game so as one takes money from a market it makes the purchases cheaper for others, and making a purchase at a market increases the price for new goods at that market. One of the two Gigamic titles I bought, this is a real-time pattern recognition puzzle game, which means I am terrible at it. The twist of color and shape mutation adds another layer of difficulty. The other Gigamic title I bought, Tea Time is a set collection game with an Alice in Wonderland theme. 6 different character tiles each have a light and dark side. If one picks up a character tile of the ‘wrong’ side, then it cancels a tile of that type already in the collection. Being void is a suit is better than having only 1 or 2 tiles. Each player must pick up at least one tile each turn so you may be forced to pick up a suit you don’t want. It’s a fun filler that takes no more than 15 minutes to play. This is a memory game where one has to remember (and recite) what Ali (players take turns being Ali) has in his/her hand and what is in his/her own hand. Players are rewarded for having unique cards at the end of the game. Teams of birds move around (expending energy in food) to pick up food tokens and block other birds’ paths to good food, Tweeet is the latest Cwali game with cute figurines. In our 4-player game, there was enough food on the board for everyone so competition to be the ‘early bird’ was not as tense as it may be with more players. I’d like to try it with 6 to see if we can starve a poor slow bird. This quick auction game is one of the better fillers I’ve played at Sasquatch. As the player who puts cards up for bid usually gets them (because they bid last), the decision of putting a set up for bid vs. using one of the special cards is not always easy. There are enough different ways to score points so often everyone is still in the game until the very end. No one knows why this game (not a new Essen release) ended up in my Amazon.de order but it is a lot of fun. It’s basically a house of cards dexterity game, which turns out to be the only kind of dexterity game I am actually good at (I am also good at Riff Raff). The only Adlung game I picked up this year, this is a nice filler involving pattern recognition and math skills, which again means I will be bad at it. We only played with the simple challenge cards. The difficult challenges look scary. I wanted to like this game more, but in a 2-player game, it just felt mostly mechanical as we run through a gauntlet of monsters that eventually kill the heroes. I will play it again with more players. As others have mentioned, this is a very light game where players mostly play to their characters’ powers, which means there is not a lot of interesting decisions to make. If your character has good power buying souvenirs at shops, you’d better make sure you always land on the shop spot. The board is beautiful but the game play is too light for my taste. I only played this game once and was not really awake during the rules explanation. Our game ended in 4 turns – 20 minutes. While I know I am mostly to blame for playing poorly, I am a little suspicious of a game that could allow such thing to happen. I was playing the game as if it were a long engine-building game since the box says it’s a 2-hour game, and by the 3rd turn I’ve realized the error of my ways but had no realistic way to catch up fast enough to make it competitive. I will definitely play the game again (can only do better than I did last time). This is another game that feels like it should be an engine building game, but this time I was awake and saw that it’s possible to race to the end (not worrying about building farms and castles, etc.) by just running back and forth fast to deliver messages, while everyone else slowly built up their efficiency engine. The inefficient effort to build up the engine does not seem all that interesting to me so I don’t think I am keen to try this one again. I like Snowdonia. It’s a worker placement game with a railroad building theme (in the Sonwdon mountains). Everything works well, but the gameplay seems to feel a bit mechanical and the theme integration is not as well done as I expected. This is a good game, but maybe it suffers a little from the pre-Essen hype (I had high expectations going in). A new Knizia game from Eggertspiele, I played it as a prototype at GoF this year. I like this light network-building game. There is quite a bit of player interactions (i.e., someone else can mess with your network) so it’s not a game for everyone. One can build in a way to mitigate/reduce takeover risks, which is the part I like. However, you are at the mercy of tile draw so it’s not always possible to stop another player’s aggression. I enjoyed K-2 so the new title from the same designer/publisher was on my list to try. I think they did a even better job in integrating the theme in The Cave, but the random tile draw during exploration meant that you have to be lucky with the equipment you chose to carry with you each time you set out from the base camp. I carried the oxygen tank with me for most of the game and only found one tile with water on it. Also, going through tight squeeze spots seem to be a lot of effort and not as much to gain (relative to descents and water tiles). I will happily play this game when requested but it’s probably not on the top of my list. There is a lot going on in this co-op game – so much so that it took Matt hours to read through the rules before we played the game. Once we get to playing the game though, the mechanics seem pretty straight forward. We played the starter scenario, and at about turn 8 (out of a maximum of 12), we realized that instead of slogging forward slowly, we should just manage to barely survive through turn 10 to build a signal fire to get off the island as soon as possible. Again, maybe we did not play the game as it was intended to be experienced but we won. I do like a lot of different aspects of the game – it’s thematic, the tech-tree track is interesting, etc. but because we kind of ‘back-solved’ the game, it did not feel all that satisfying. A light deduction game in which players try to figure out who, where, when and how a murder was committed, Lady Alice rewards players who make the correct bets on crime details. We played a 5-player game, and I never got a chance to be the accuser. We had enough information so the 4th player successfully guessed all the right clues (he did get lucky on the time). I would be interested in playing the game again but with no more than 4 players. This game has been available since this summer, and I have lugged it to game nights for months without playing it. I finally got the chance to play at Sasquatch. I did not know what to expect going in – I had high hopes after reading Liga’s preview but then have also heard less than glowing session reports. Our 2-player game turned out to be quite good. The sheep movement mechanic seems simple but it requires more thought than at first glance to make sure you can (1) continue to add more sheep to the regions and (2) protect your sheep from being poached. I am not sure if I will like it as much with more players, as the game could become too chaotic for my taste, but it’s good with 2 or 3 players (3 might be best to get more competition in share purchase). This abstract strategy game is interesting – players have 4 goals (different patterns) that they each have to achieve to win. It is probably best with even number of players (2 or 4). We played with 3 and there was just as lot of 2 players fighting over placement and the third player running away with the game. This new title from Alea reminds me of Roll Through the Ages but it adds the spatial arrangement aspect of other city-building games like Suburbia. It is a strategic dice game that is quick to teach and play. Having a dry-erase board makes the game less fiddly. It’s probably my new go-to game if someone wants to try something that can be learned/played in 45 minutes. I played a lot of games over the 5 days but there is still a huge pile that have yet to be played. I did not even try the new Hanabi. I hope to make some more progress this week and also at BGG.CON next week. With still quite a few heavy-hitters on the to-play list, I will wait to make my top-10 list. As for Sasquatch Boardgame Festival, we will be back at the same venue next year (in a larger ballroom) and ready to have more fun playing new games and meeting new people. After all, there’s no better way to spend a rainy November weekend in the Pacific Northwest. Jennifer’s excellent recap covers the basics of this year’s Sasquatch: it was great fun playing with lots of friends, there always seemed to be something going on, and the venue was pretty fantastic (even if less picturesque than years prior). Since Sasquatch fell on Halloween this year, a holiday I am loathe to miss out on, I only got in three and a half days at the con. But that was long enough to get a sampling of the new wares, which I’ll be writing up in the coming days. 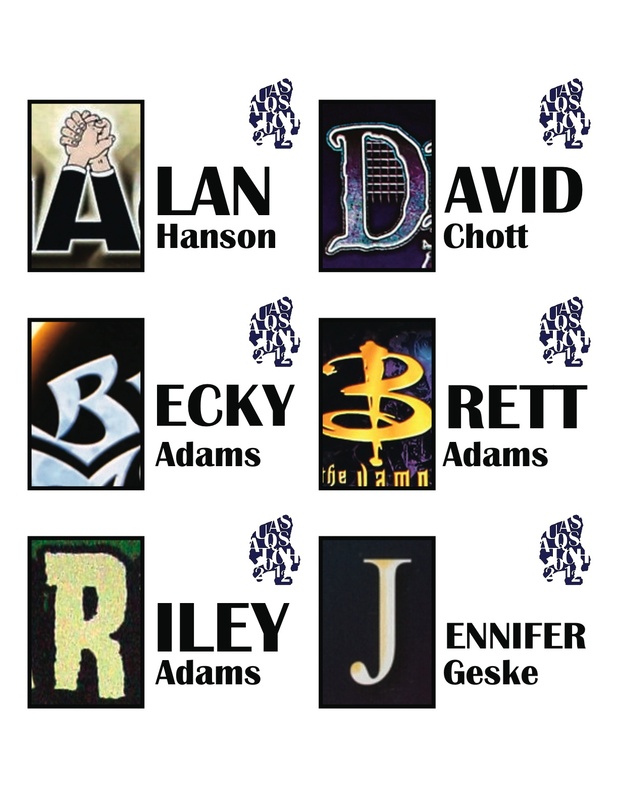 One quick correction – I used people’s favorite games to make their badges where I could find them and where those games had a decent useable version of the first letter of their first name. Often I just used my favorite games or games highly rated on the geek, though. SO if someone didn’t know or like the game represented on their badge, they could be sure I did. Thanks again to Jennifer, John, and all the other volunteers for putting on a great shindig. Can’t wait for next year! Yes. I should have used the full name – Ruhrschifffarht 1769-1890. Sorry I missed it! Sounds like a great time, hopefully next year. Wow, 4 turns for The Great Zimbabwe is crazy! I guess you gave a player direct access to four different cheap primary artisans and he just upgraded his start tower each turn without taking any cards? Thanks for picking my Adlung-Game “LIKE DICE” at Essen….